This April HISTORY is commemorating Anzac Day with an impressive and moving line-up of documentaries which remember the sacrifices and battles fought by our brave men and women who helped shape our nation. The Memorial; Beyond the Anzac Legend series follows Neil Oliver as he gains unprecedented access to the stories and objects that lie within, Tony Robinson’s Tour of Duty reveals how local communities across Australia and New Zealand remember our Diggers sacrifice 100 years on. The moving Vietnam war story of the Battle of Long Tan told through first hand veteran accounts of this incredible day. New programmes include Gallipoli: When Murdoch Went to War and The Australian SAS: The Untold History, the first ever authorised access to this covert groups incredible history. HISTORY continues its look at special operations forces internationally in the modern day, their origins and the impossible missions they’ve undertaken with the premiere series Navy Seals: America’s Secret Warriors. How can I get involved with ANZAC Day Appeals? In Australia,the ANZAC Appeal begins in early April and runs until ANZAC Day on 25 April. The ANZAC Appeal raises funds to support former and serving member of the Australian defence forces, their allies and dependants when in need. 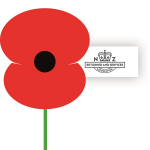 Everybody is encouraged to buy a badge and wear it with pride this ANZAC Appeal. made Poppy Day part of the New Zealand calendar since 1922.
International broadcaster and renowned historian Neil Oliver goes behind-the-scenes at the Australian War Memorial. Throughout his acclaimed career, Neil has studied both ancient and modern history from a variety of perspectives and locations around the world. Having explored museum vaults and memorials in Scotland and the UK, Neil now takes his mission to Australia. “ When I think about being given this kind of unprecedented access to the Australian War Memorial my first emotion is that I feel humbled by it and very privileged because I’m an outsider. As a Scott coming to Australia I feel very privileged for that door to be opened to me, to start looking at the story of Australia’s experience of The Great War,” says Neil. The Australian War Memorial features an extraordinary treasure trove of the nation’s war history, and Neil Oliver has unprecedented access into the heart of its vaults. “It’s always fascinating to get behind the scenes of any museum and the Australian War Memorial is in part a museum, and museums are worlds unto themselves. They have a population, they have customs, they have rituals, there’s a structure to every day but the War Memorial is only a building, it’s the people and their active attempts to preserve and to research and to understand more about the collection that is active remembrance. They are the Memorial,” says Neil. From Gallipoli to the Western Front, this series will reveal powerful stories behind the soldiers’ names on the War Memorial’s sacred Roll of Honour. This landmark five-part series also features insightful interviews with Prime Minister Tony Abbott and former Prime Ministers, Paul Keating, John Howard, Bob Hawke and Malcolm Fraser, as well Governor-General Sir Peter Cosgrove, former Governor-General The. Hon Quentin Bryce and VC recipients Mark Donaldson, Daniel Keighran and Ben Roberts-Smith. “Paris or the Bush” is a two part special about a remarkable working class rowing eight from tiny rural Murray Bridge who, after returning from World War I service, dominate Australian rowing despite age, injury and class obstacles, winning three Kings Cups from 1920 – 1923 and earning the right to represent Australia at the Olympic Games in Paris in 1924. Ridiculed as the ‘raggedy eight’ and labelled as ‘professionals’ by elite city rowers, the Cods win the National Eight-Oared Championship in 1913 on the Port River. Seemingly destined for greatness, the Great War intervenes and redirects the rowers’ lives onto the battlefields of Europe. One is injured at Gallipoli, another loses his life in France and a third returns with unreachable shrapnel buried in his back. Before returning home, one of the Cods, Arthur Scott, rows in the AIF eight at the famous 1919 Peace Regatta at Henley-on-Thames, winning the Kings Cup for Australia. Battered and traumatised after 5 years of war, the Cods reform in 1920 and, led by coach Teddy Higgs, win the National Eight Oared Championship in Brisbane in record time. They win 2 more Kings Cups in Sydney in 1922 and Perth in 1923 and, despite a last minute act of treachery by Olympic officials, earn the right to represent Australia at the Olympic Games in Paris in 1924. One of the Cods, a conscientious objector, is attacked by the RSL as not ‘fit to represent Australia overseas’. The crew rally around Wally Pfeiffer and pledge not to go to Paris without him. This is the extraordinary and deeply moving true story of the million British horses who served in World War One. It is told using rare archive and testimony, combined with the latest historical research. The story begins with the mass call up of horses from every farm and country estate in the land. Brough Scott evokes the world of Downton Abbey as he tells the tale of his aristocratic grandfather Jack Seely and his courageous horse Warrior who would become the most famous horse of the war. In a new era of mechanised trench warfare, the deep bond that developed between man and horse helped both survive the hell of the Somme and Passchendaele. The finest hour of the cavalry came in spring 1918 when, led by Warrior, they broke through the German lines and helped win the war. But there was heartache for the horses when the war ended. 85,000 of the oldest were sold for horse meat. Half a million were sold to French farmers to help rebuild the countryside. Only 60,000 made it back to Britain. Six black horses that survived the war would pull the body of the unknown warrior to its last resting place in Westminster Abbey. But the most famous war horse of all to return in glory was Warrior. His story, like the million other British horses who served, should never be forgotten. These are the compelling stories told behind the Australian and Japanese men who fought for their lives in the most brutal conflicts of Australian history. This moving documentary shows the violent and savagery experiences shared between Australian and Japanese soldiers forged in the dense jungles of Papua New Guinea. The Kokoda Campaign was a war without mercy, the scene of one of the most brutal conflicts in Australian History. This 2-hour special shows the story of men caught in the war and how they reconcile their shared history over sixty years later by interviews with Australian soldiers and for the first time show extensive interviews with Japanese soldiers and airmen to gain a unique and almost lost perspective of the Kokoda Campaign. 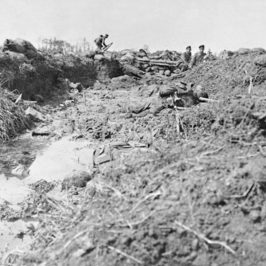 The battle was a decisive Australian victory, a victory that delivered Australia from Japanese encirclement and possible occupation. The film provides Australian and Japanese audiences with poignant statements about the bloody nature of war and how this has scarred the young men who fought it. Thousands of British sailors died in the Battle of Jutland. In the recriminations that followed, Admiral Jellicoe’s reputation was ruined. Now his grandson plans to uncover the truth about the battle. Narrated by Jack Thompson and featuring the last Gallipoli Anzacs this film challenges the widely held perspective of the Gallipoli Campaign and the birth of the Anzac legend. Featuring never before seen interviews, Gallipoli – Last Anzacs Tell All gives the last survivors of the Gallipoli campaign a voice for the century. Interviewed by Dr Jonathan King, a renowned Gallipoli specialist, the politically controversial and passionate anti-government criticism expressed by these last remaining survivors of the landing of Gallipoli, is a poignant reminder that we must not repeat the mistakes of the past. Professor David Reynolds takes a fresh look at the extraordinary events and personalities involved in the Armistice which brought the Frist World war to an end in 1918. He uncovers a story of wounded egos, political scheming and brinkmanship behind the lines as statesmen and generals haggled over the terms of peace while, at the front, the soldiers fought on. In a journey that takes him through command centres and battlefields, he explores why half a million men were killed or wounded in the bitter endgame of the ‘Great War’ and he unravels how Germany ultimately plunged to total defeat. In March 1918 the Germans nearly won the war; in November they not only lost it, their country also fell apart in revolution, leaving them unable to resist the Allies’ harsh terms. So, for many Germans, the new order was a betrayal of all they had fought for – a lasting resentment that would eventually fuel Adolf Hitler’s rise to power. November 11th proved to be a doomed peace – a prelude to a century-long struggle for mastery of Europe. 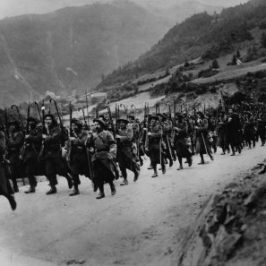 David Reynolds argues that it was the frenetic politicking and brutality of the fighting in1918 that sowed the seeds of the even bloodier Second World War just 20 years later. “Tony Robinson’s Tour of Duty” focuses on the last century of war and war service in Australia – on the battlefield, and on the home front. Whilst this series is a continuation of the much loved quirky Tony Robinson format, there is one important distinction – a Community Roadshow, where the locals of the towns and cities Tony visits become the stars of the show. Tony encourages the locals to show off memorabilia, tell stories and share poignant recollections of their ancestors who fought the war at home and abroad. 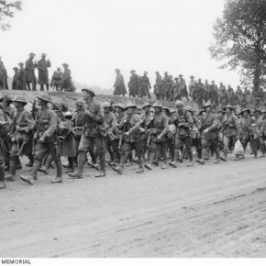 Narrated by Jack ‘Living Treasure’ Thompson, this landmark film commemorates the 100th anniversary of Australia’s worst battle Fromelles with the last ten surviving WWI veterans revealing how 2000 young Australians were killed in one day, in their first Western Front battle, when British Generals ordered them to charge in broad daylight across flat fields towards German machine gunners. These brutally honest old warriors who enlisted at 16 tell horror stories about bungling and bloodshed in battles claiming 46,000 Australians lives that will make viewers weep. 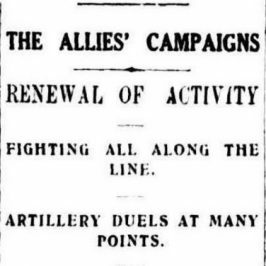 Condemning failed British-led Gallipoli as a terrible mistake these centenarians beg Australians to focus on Australian led victories on the Western Front which was five times greater because our soldiers won five times more battles, five times more Victoria Crosses, served there five times longer and sadly lost five times more lives. After hearing these brave soldier’s stories, you’ll never think about WWI in the same light again. Investigate the battle of Long Tan, when an infantry company of untried Australians and New Zealanders held off repeated attacks by two heavily-armed North Vietnamese Army and Viet Cong units outnumbering them 20 to 1. Gallipoli: When Murdoch Went To War looks at how a young journalist changed history. “My father shook up the establishment”, claims Rupert Murdoch in this hour long special that tells the true story behind the Gallipoli letter written in September 1915 by his father, Keith Murdoch, at the time a young Australian journalist. According to journalistic legend, Keith Murdoch’s letter toppled a general, shook a government and ended the bloodbath that was Gallipoli, one of the most brutal calamities of the First World War. But, as we find out in this investigative documentary, the truth behind the events of 100 years ago is far more complex. For the first time, HISTORY reveals the authorised and complete history of the Australian SAS. Raised in 1957 during Communist subversion in South East Asia, the small and little understood SAS quickly became the Ugly Duckling of the Australian Army. The SAS proved itself in 1965 in the undeniable jungle war in Borneo during Indonesian Konfrontasi. Follow the Australian SAS missions from inception through to the 2015 rise of the brutal ISIS caliphate. 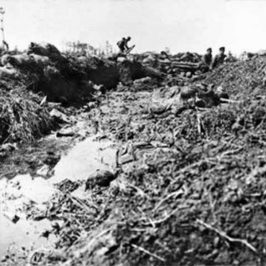 The corpse-lined trenches of Northern France are well known as one of the deadliest killing grounds of World War I. In fact, proportionately, an even more lethal war was taking place in the skies over Europe. The world’s first flying aces were regarded as the cosseted glamour boys of The Great War. But by 1917, the life expectancy of a new pilot was just two weeks. In a few years, the amateur enthusiasts and young adventurers who made up the embryonic Royal Flying Corps and German Air Force had been turned into ruthless assassins. Over three weeks in 1968 the 1st and 3rd battalions of the Royal Australian Regiment 3RAR fought in desperate hand to hand combat against overwhelming Vietnamese forces. The largest battle Australian forces had been involved in since World War II, 25 Diggers were killed and over 100 wounded, the most casualties suffered by Australia in any one engagement in the Vietnam War. If the Australian forces had lost at FSB Coral, Australia would have been out of the war. Yet few Australians today have ever heard of the Battle for Fire Support Base Coral.